Kyotango City, Kyoto, Japan, is an agricultural and mountainous rural area located approximately 90 kilometres from central Kyoto consisting of man-made forests and agricultural lands. Agricultural lands and small communities are located on narrow flatlands alongside rivers and they are surrounded by hilly areas that are covered with forests. The forest use has significantly declined due to decreased demand for firewood, charcoal, and forest-based compost. In addition, the stagnation of industries, including agriculture, forestry, and fishery, has caused a population outflow to large cities and the aging of society. As a consequence, the number of people involved in the management and use of natural resources has decreased and the number of abandoned and inadequately managed fields and forests has increased. This has resulted in the deterioration of habitats and nurturing grounds for wild animals and plant species characteristic of secondary forests and agricultural land. The New Energy and Industrial Technology Development Organization (NEDO) of Japan started an experimental microgrid system (later granted to the city). Amita Corporation was commissioned by NEDO to implement a program by which they would plan, operate, and manage a component of this microgrid, i.e. a biogas power generation facility. Amita focused on the effective utilization of the by-product of bio-gas power generation as liquid fertilizer, carried out a demonstration of organic vegetable cultivation and rice paddy farming using no chemicals, and started “forest dairy farming”. High-value farm and livestock products produced through such farming practices have the potential to boost industry in rural regions. Ms. Takako Matsui She has been working at PREC Institute Inc. since 1982, and is currently the manager of environmental coexistence division. Until today, she has been engaged in work such as survey and planning related to conservation and utilization of natural environment, supporting community involvement and creation of social consensus in rural development, and developing technical guidelines for environment impact assessments. Currently, she takes charge of work on the Satoyama Initiative, survey and planning related to natural parks, and others. Mr. Taito Kawashima He has been working at PREC Institute Inc. since 1997, and is currently the vice manager of environmental coexistence division. Until today, he has been engaged in work such as survey and planning related to conservation and utilization of natural environment, survey on conservation of agricultural land and promotion of agriculture, planning related to measures against global warming. 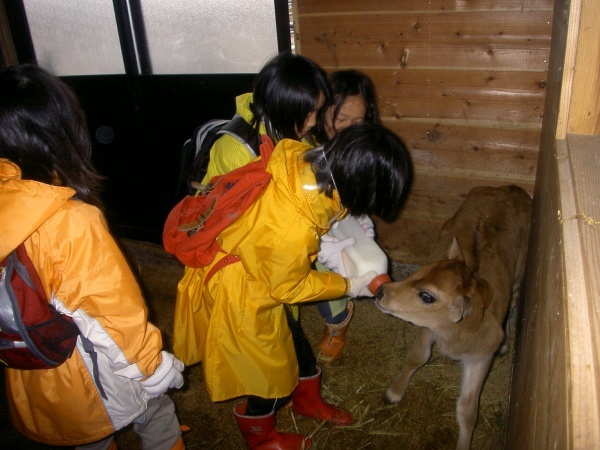 Currently, he works on the Satoyama Initiative, survey work related to agriculture and biodiversity, and others. Mr. Takehiro Kasahara He has been working at PREC Institute Inc. since 2007, and is a researcher of environmental coexistence division. Until today, he has been engaged in work such as survey and planning related to conservation and utilization of natural environment and environment impact assessments. Currently, he works on the Satoyama Initiative, survey and planning work related to natural parks, and others. With aims to restore the devastated natural environment and establish new industries, Amita Corporation, a Japanese private enterprise, works on constructing the matter cycle mainly through biogas power generation and forest dairy farming in Kyotango City, Kyoto Prefecture.These efforts have attracted attention as they should contribute to balance sustainable use and management of natural resources and economic benefit. Activities presented in this section are as of March 31, 2010. Kyotango City, Kyoto, Japan, is an agricultural and mountainous village area located approximately 90 kilometres from Kyoto City and 450 kilometres from Tokyo. The area has been associated with active interaction with countries in Eurasia for centuries. It has many historic remains and ruins, such as tumuli constructed from the third to seventh centuries. This area has been the stage of a variety of human activities since then. The population of Kyotango City was 80,160 people in 1960. It decreased to 62,723 people in 2000 and is expected to decrease to 48,691 people in 2030. The main industries of Kyotango City are agriculture, silk textile industry, machinery and metal manufacturing industry, and tourism. Changes in the industry structure, population outflow, and aging society have been part of the reasons for the overall stagnation of the local economy. Most of Kyotango City is mountainous or hilly. The altitude ranges from 0 to 697 metres. The climate of the region is warm and humid; the annual average temperature is approximately 15 degrees Celsius and the annual precipitation is approximately 1,900 millimetres. Most of the natural environment in Kyotango City consists either of anthropogenically created secondary forests or agricultural lands. Most of the area’s vegetation consists of secondary forests of Pinus densiflora (Japanese red pine) and Quercus serrata (konara oak). Herbaceous plant community in rice paddies cover the most flatlands located between the mountains. The total area of Kyotango City is 501.84 square kilometres, of which mountains and forests cover 377.15 square kilometres (75.2 per cent of the total area) and agricultural lands cover 35.93 square kilometres (7.2 per cent of the total area). Agricultural lands and small communities are located on the narrow flatlands along rivers. Hilly areas and mountains that surround the flatlands are covered with forests. These land uses are distributed in a complicated pattern, making a mosaic-style land use distribution. • Rice, vegetables, and fruits are cultivated on agricultural lands. • Forest products including timber, charcoal, and compost used to be produced in forests, but the amount of production has been significantly reduced in recent years. • Silkworm raising to produce silk goods, cultivation of mulberry trees as food for silkworms, and cultivation of plants to produce dyes are conducted in this area, but the amount of production has been significantly reduced in the recent years. • Fishery for human consumption is conducted in the coastal area. The decreased demand for firewood and charcoal due to the increased use of fossil fuels and the decreased demand for forest-based compost due to the increased use of chemical fertilizers have significantly lowered forest use. Under such circumstances, the ecological succession has advanced in secondary forests that had been maintained for a long time, which is resulting in the deterioration of habitats and nurturing grounds for wild animal and plant species characteristic of secondary forests and agricultural land. The stagnation of industries including agriculture, forestry, and fishery caused a population outflow to large cities and the aging of society. The number of people involved in the management and use of natural resources has decreased, which in turn increased the amount of abandoned fields and lowered forest management quality. Furthermore, insufficient management increased the frequency at which agricultural lands are damaged by wild animals and further exacerbated the stagnation of agriculture in a vicious cycle. In 2007, Kyotango City adopted the Biomass Town Vision. The vision promotes the use of biomass in an effort to resolve the crisis and the sources of the problems described above as well as other local problems. • Promotion of industry based on the use of local biomass. • Conservation and restoration of the natural environment. • Environmental education, eco-tourism, and environmental awareness-raising for the citizens. The national New Energy and Industrial Technology Development Organization (NEDO) started a microgrid experiment (Kyoto Eco Energy Project (KEEP)) in the area. Amita Corporation was commissioned by NEDO to implement a KEEP in 2003 and started to plan, operate, and manage a component of the microgrid, a biogas power generation facility, “Kyotango Recycle-based Material Production Plant” as a company facility. Such was the beginning of the relationship between Amita Corporation and this area. The operation of the biogas power generation facility started in August 2005. The facility was handed over from NEDO to Kyotango City; Amita Corporation continued to run the operation. Amita Corporation worked on the effective utilization of liquid fertilizer, which is the by-product of the biogas power generation. At the same time, the company carried out a demonstration experiment of organic vegetable cultivation with the cooperation of local farmers in 2006 and rice paddy farming using no agricultural chemicals and chemical fertilizers in April 2007 as a part of new product development. In addition, in the end of December 2007, the company started natural grazing by releasing milk cows to the degraded forests and started “forest dairy farming” in which a forest is properly managed in a long run while producing dairy products. The purpose of Regional Production Projects is to promote the prosperity of local communities through their involvement in the projects as well as address the relationship between people and nature in areas that face difficulties in achieving sustainability. • Running and managing the Kyotango Recycle-based Material Production Plant (biogas power generation facility). • Organic farming using liquid fertilizer produced as a by-product of the above facility and sales of agricultural crops. • Selling forest dairy products and livestock products. In Kyotango City, the material circulation involving both forests and agricultural lands collapsed as the socioeconomic situation changed. At the same time, the use of natural resources in the forests and agricultural lands fell dramatically. As a consequence, the quality of the ecosystem in these areas has been deteriorating. In order to solve such problems, Amita Corporation aimed to establish new industries and promote sustainable use and management of natural resources. It plans to maintain traditional land use methods in harmony with a natural condition in the region and also by constructing the matter cycle using new techniques, such as the biogas power generation, the forest dairy farming, and low input farming. With respect to the establishment of a mechanism on matter cycle, it is important to prevent production of excessive waste beyond the environmental capacity and excessive use beyond the natural resilience through biogas power generation, forest dairy farming, and low input farming. Following stock and flow management is carried out to prevent such issues. • The materials used for biogas power generation include the wastes generated by food industries in Kansai area. Excessive uses of the natural environment will not occur in the utilization of these materials. • The amount of liquid fertilizer, the by-product of the biogas power generation, applied to agricultural lands is set within the range that will not cause such problems as nitrogen overload. • Gas emission and wastewater discharge from the biogas power generation facility are properly treated to meet the environmental carrying capacity. • Based on the knowledge and experiences of existing examples, the density of milk cow raising in the forest dairy farming is considered within the range that would not cause overgrazing, and efforts are made to restore the forest. New material flow systems have been established in the area and different land uses are now connected by the activities of biogas power generation, forest dairy farming, and low input farming as shown in a figure below. Cyclical use of natural resources, with ecosystem function and human activity in harmony, has been achieved by this material flow being executed within the range of an environmental capacity and natural resilience. Moreover, the organic refuses that are the raw materials of the biogas power generation are collected from Kansai area, and this contributes to making proper regional matter cycle. High-value farm and livestock products in the region, such as “Milk of the Forest” by natural pasturing and “Forest Rice” produced without using any agricultural chemicals and fertilizers during the cultivation period, are produced and sold, and new industry in rural regions was produced. Amita Corporation’s business is not yet profitable. However, the accumulation and improvement of knowhow and the development of the market are advancing steadily, and it is aimed to make the business as a whole to be profitable in several years. Amita Corporation is not a local enterprise, however, it values the harmony among nature, society, and economy in the region. As a direct contribution to the region, approximately ten local people are employed by the company (as of March, 2010). Moreover, it also works on environmental education that cooperates with a school in the region. As a result, the number of local people who understand and support the activity is now starting to increase. This study was carried out by the members of PREC Institute Inc., Takako Matsui, Taito Kawashima, and Takehiro Kasahara, as a part of a contract work with the Ministry of the Environment, Japan. The study is based on a hearing survey on Amita Corporation, as well as materials provided by the corporation. We would like to give our special thanks to those parties who cooperated with us to carry out this study.